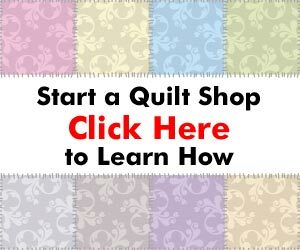 QuiltingBusiness.com is the only web site dedicated to helping you make money with quilting. With information on starting, running, and marketing your quilting business, QuiltingBusiness.com is designed to help any type of quilting business, whether you own a quilt shop, machine quilting business, or just plan on selling your quilts. Whether you want to turn your quilting hobby into a full or part-time business, or take your current quilting business to the next level, QuiltingBusiness.com offers the information and resources you need to make money with your quilting. No matter if you are just getting started or would like to take your quilting to a new level, the Quilters Universe family of sites offers the information and resources you need to make the most of your quilting.